The red I ordered this is in is so pretty I ordered another one. The pillow is so comfortable as a back support or a neck support while reading or watching TV. Get the neck support you need with the Mini Squishy Mooshi Microbead Pillow Neck Roll Bolster Pillow. 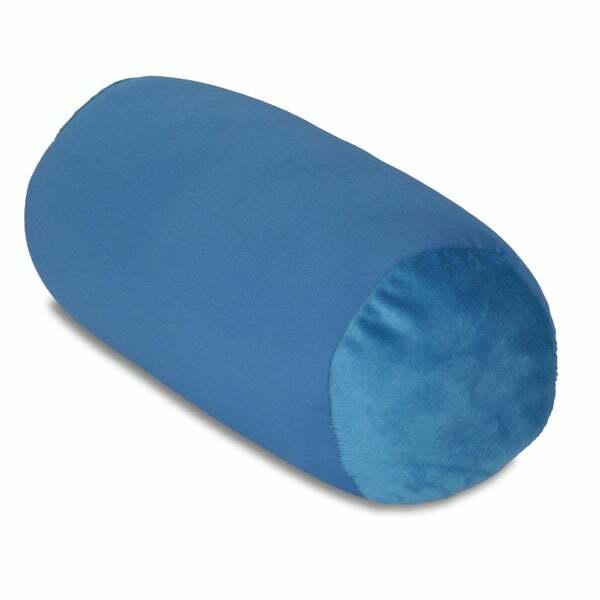 This pillow features a soft polyester construction with a microbead fill that easily conforms to your neck shape. A nice squishy pillow, just as advertised! If you are looking for a little pillow that molds to your head, this is it! Very pleased. The pillow is great for naps in the car during the ferry ride to the city but the stitching in one place is pretty ugly. I was hoping it would be softer for my bum. ( I wanted to use it as a seat cushion.) It's pretty hard as a seat cushion, but it's still okay to use for my head. Does not hold its shape well, poorly made. is very comfortable, use under my shoulder.